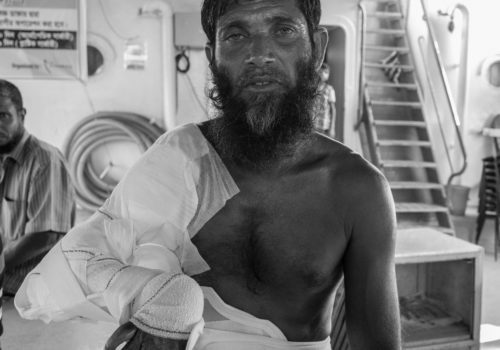 HumaniTerra is present in Bangladesh since 2005, performing surgical treatment missions on a hospital boat that sails in the Northern river areas of Bangladesh in partnership with the local organization, Friendship. HumaniTerra works in Bangladesh in the riverine zone of the Gaibandha and Kurigram districts in the north of the country. The river islands of the Brahmaputra (“chars”, in Bengali) are inhabited by 1.5 million people. These islands are subject to flooding and erosion, which renders living conditions for inhabitants extremely difficult and rudimentary, in particular during the monsoon season. The instability of these sand islands forces them to move regularly, to repeatedly rebuild their homes and constantly prepare the ground for agriculture. Consequently, the char population has less access to resources than the average Bangladeshi, and basic services are close to nil. HumaniTerra intervenes on the Emirates Friendship Hospital, which was inaugurated in 2009. HumaniTerra provided its surgical expertise to help with the designs and the layout of equipment for the boat’s operating theatres. It is dedicated to mother and child care. 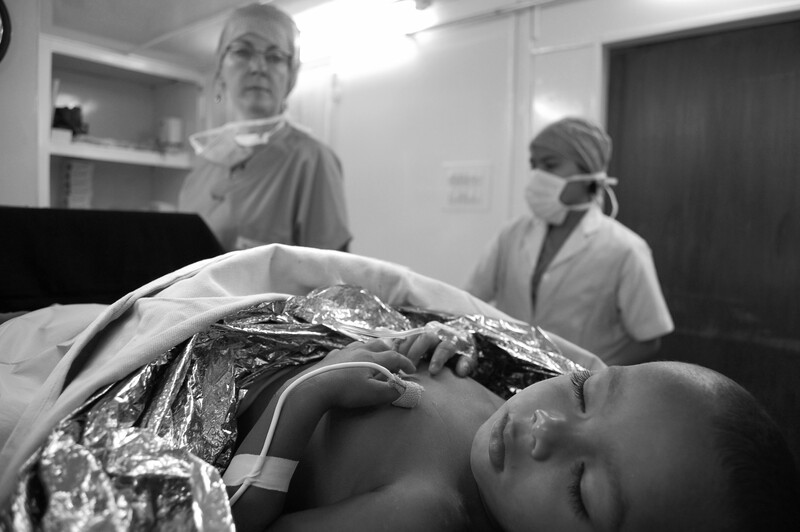 Each year at least two teams of obstetric and pediatric surgeons are sent over. HumaniTerra sends between 12 to 18 surgical missions each year (orthopedic surgery, gynecological surgery, ophthalmology, visceral surgery, pediatric surgery…) and takes care of training the local paramedic staff on diagnostics up to the post-operation follow-up. HumaniTerra contributes to supplying the hospital boat with specialized equipment and consumables adapted to the most frequently-encountered pathologies. Each year, more than 5,000 cases of births affected by club foot are recorded in Bangladesh. Club foot is the most serious deformity observed in infants. It touches nearly 1 child in 1000. If early treatment is not received, it can lead to acute pain and a permanent, incurable handicap, a factor in social and economic exclusion. In response to this situation, HumaniTerra administers treatment and trains the medical personnel of the Friendship in the detection and care of this pathology in infants.